88 weighted keys at only 28 lbs.! 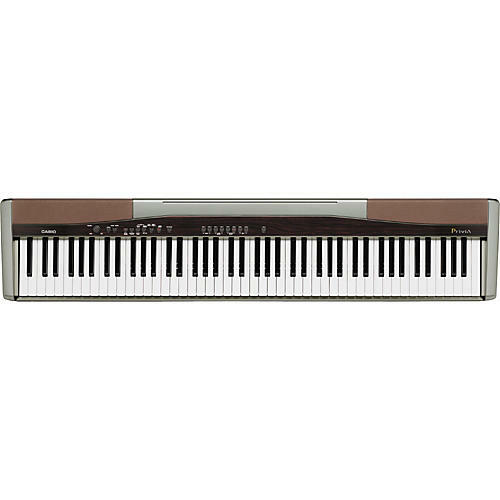 The Casio PX-100 Privia Digital Piano may be the lightest full-size digital piano with real hammer action ever offered. Completely new sound chip and a custom speaker system for full, rich acoustic piano sound. 10 built-in tones plus rhythms, effects, and demo songs. Easily converts to upright configuration with the optional CS-55 stand. Light weight, compact size, and great price makes owning and enjoying a piano easier than ever!